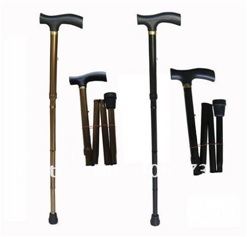 Adjustable length, foldable walking stick. 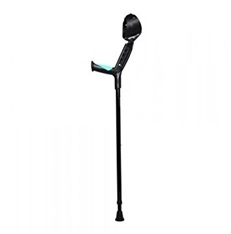 Ergonomically designed and stable this walking stick gives you sufficient support while looking stylish. 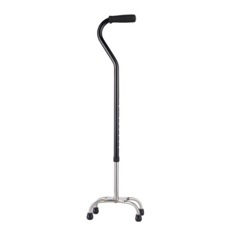 Ideally suited for people who travel as this model can be folded and carried in your suitcase or hand luggage. 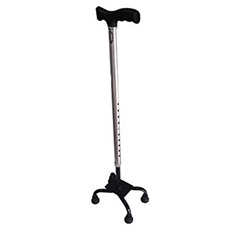 Also known as a quadripod, this walking stick provides maximum stability, especially for older people with balance issues. 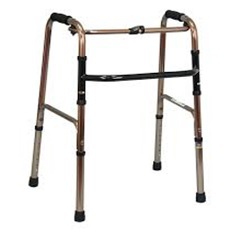 Ideal for people who want to move away from a walker towards usage of a walking stick. 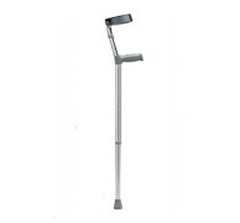 Unlike a regular walking stick, the broad base of a quadripod provides enhanced stability and balance. 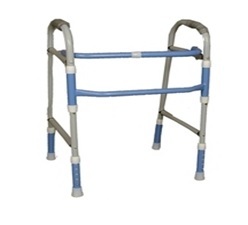 For people with balance problems, this is an excellent device to provide the additional support required to remain mobile and independent. 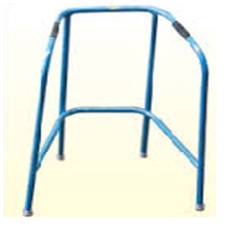 It is height adjustable with increments of 1 inch. Total of 10 slots are available for height adjustments. 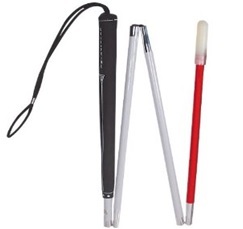 Dimension measuring 75 * 33 * 34 cm. The length of the walking stick is variable with height 74-97 cm.